Communication & CI Part 2: Hidden Costs? As noted in our previous post, communication is an important, yet often over-looked tool for bringing about a culture of continuous improvement and engagement within a workforce. But the effect of communication depends on its quality, and poor communication can be costly. Even worse, these costs frequently go unnoticed! For example, as reported in a recent Society for Human Resource Management (SHRM) article, a survey of 400 companies with 100,000 employees each cited an average loss per company of $62.4 million per year because of inadequate communication to and between employees. The article also referenced another study showing that miscommunication in smaller companies of 100 employees cost an average of $420,000 per year. To determine or impact the quality of internal business communication, it is important to recognize that some communication forums are better than others. For example, many organizations use suggestion boxes as forums. But the results are often disappointing. While a suggestion box requires little time or effort to initiate, its success relies on the ideas being completely and clearly expressed in writing. Unfortunately, many people with good ideas simply cannot express them well. Furthermore, if a suggestion requires more explanation or development before it can be turned into a really great idea, the suggestion box does not offer an opportunity for clarification, debate, or refinement. Even worse, when the initial ideas are not fully formed or expressed, and management doesn’t have an opportunity for clarification, the ideas are harder to act upon, and often management loses interest. When people notice nothing comes of the suggestion box, they stop offering ideas. Ultimately, the best forums are regularly-scheduled gatherings in which people can surface and discuss problems, waste, and opportunities for improvement. When well-crafted, these forums allow for discussion to make sure each idea or observation is fully understood; any problems with an idea should be raised freely and discussed with the goal of improving the idea. In the end, the most effective improvements and innovations are often quite different from both the initial ideas and even the counter proposals. They emerge from listening to and incorporating different perspectives about barriers and unintended consequences to raise concepts to new levels. Completing our series about running the most effective project team teleconferences, we now focus on the best ways to end each session. At the end of many teleconferences participants simply hang-up the phone without participating in a formal wrap-up. The meeting leader must be aware of the time and should begin a formal wrap-up a few minutes prior to the meeting’s scheduled conclusion. Clearly assign tasks, responsibilities and next steps to individuals and get their agreement with respect to understanding and ownership — who will do what… where… and when? Debrief the session by seeking input from participants. You might consider giving participants one minute to write-down a brief summary of “take-aways,” did-wells and do-betters, and then ask for a brief summary from each; or you might randomly pose final questions to each participant relative to their assessment of the session and understanding of next steps. Proactively contact participants who were most involved during the session to reaffirm the value of their input, to gather input for upcoming sessions and to promote ongoing participation. As Swiss psychiatrist C.G. Jung so famously said, “You are what you do… not what you say you will do! In our previous post we noted that since it has become more commonplace for people to work from home or other remote locations, so too has it become necessary for leaders to develop and master the art of running remote or virtual meetings. Otherwise it becomes increasingly difficult to engage and keep project teams focused and on track. It is also important to keep participants on track during these remote or virtual project team meetings. 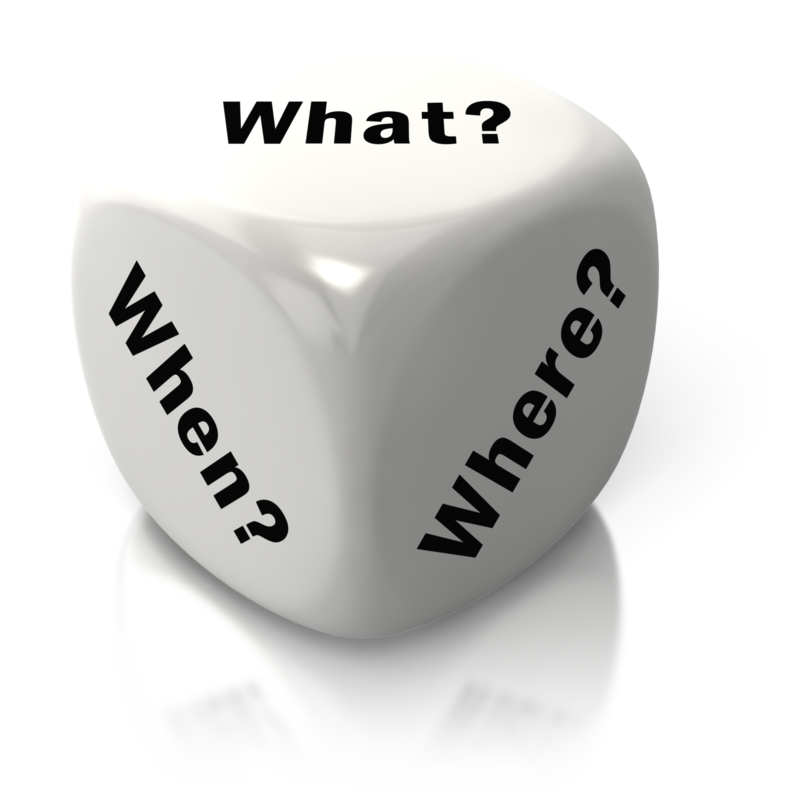 If, as suggested in that previous post, the meeting leader directs open-ended questions to individuals, it is important for the leader to keep track of how those questions are answered. The simple solution is to create and use a master sheet, on which the leader can note the responses and other comments made by each participant. By listing each team members name in sequence, the leader can also direct questions on a random basis, which further keeps people’s attention, since no one knows when they will be called upon. In addition, the leader can reference some of the comments during each meeting, thus further engaging the team members who made the comments and also proving to all that their input is, in fact, recognized. These notes can also serve as a useful resource to the meeting leader after-the-fact, when planning the next meeting. Without consistent, value-added communication project teams will struggle to achieve optimum results, so it is imperative that leaders conduct productive, timely meetings. In several past posts we discussed the many challenges associated with running effective team meetings, and shared best practices for overcoming these obstacles. As it has become more commonplace for people to work from home or other remote locations, so too has it become necessary for leaders to develop and master the art of running remote or virtual meetings. Unfortunately, if people have struggled to run effective meetings in face-to-face settings (as documented by the Wall Street Journal and many others), the challenges quickly multiply in the virtual forum. As a starting point for how a meeting leader must modify their plan when running a virtual meeting, consider the way in which people interpret a verbal message. 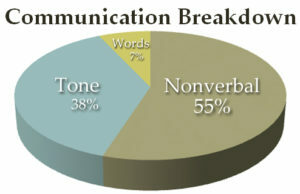 As the image indicates, over half of that interpretation hinges upon non-verbal communication – that is, on “body language.” Since we can’t see one-another when involved in conference calls or in many other forms of remote group communication, the meeting leader must compensate by asking more questions. Most of the questions are best phrased in an open-ended style (i.e., a style that requires more than just a “Yes” or “No” response). Each questions should be directed at an individual – by name. This is often perceived as overly-direct, but adhering to this rule is crucial. Consider that the frequently-used query, “Does anyone have any questions?” is perfectly fine for use in a conference room; but this same question is ineffective on a conference call because no one knows who should speak first… as a result, people tend to remain silent or talk all at once. By following these two simple guidelines, meeting leaders can more successfully engage conference call participants and run more interactive sessions. By “directing” questions toward individuals as outlined above, the leader will also discourage the common practice of multi-tasking. We will take a closer look at this aspect of “distant” communication in upcoming posts. As noted in our previous post, many of us don’t recognize the enormous impact (both positive and negative) meetings have on our organizations and careers! Yet many professionals have had no real training in devising and managing an effective meeting. This is truly regrettable as organizations of all types can experience significant gains by running effective team or project meetings. Conversely, if these meetings are poorly executed, it’s only a matter of time before the workforce considers them to be non-productive, unnecessary or even unpleasant; in which case, certain opportunities will be forever lost! 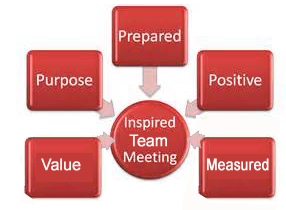 Preparation: Do you have a strategic plan, identified purpose, goals and objectives for your organization’s meetings? 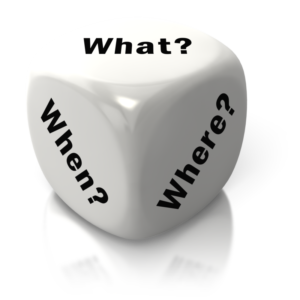 Does someone (Manager, Team or Project Leader) take the responsibility seriously and allocate the necessary time for planning each meeting? Is an agenda created? If so, is it shared in advance? Scheduling: Are meetings held on a regular basis… either weekly or bi-weekly? 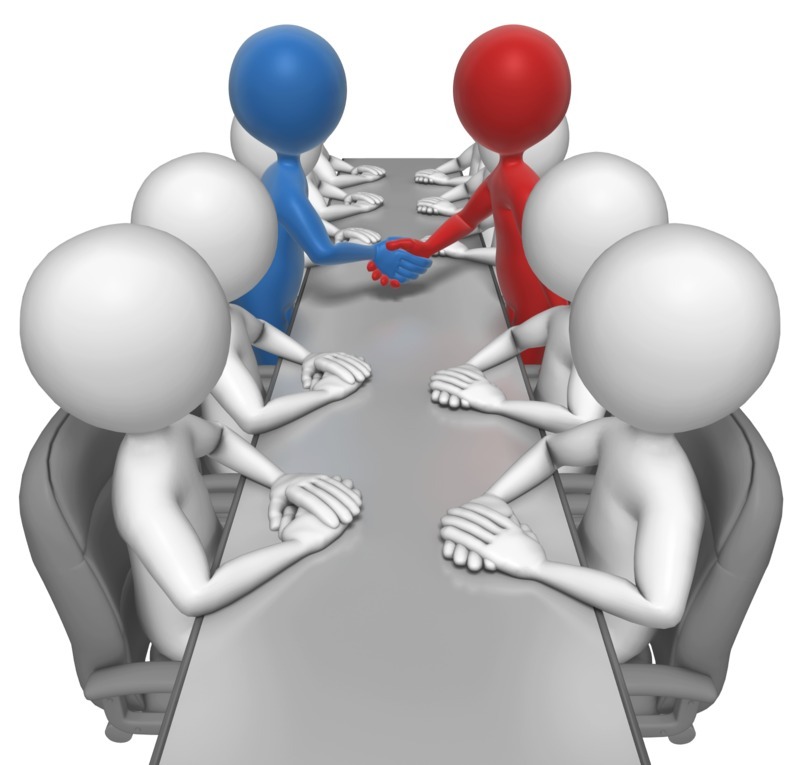 Are meetings held on the same day and at the same time each week or every two weeks? Are your meetings conducted with sufficient frequency? Is attendance considered mandatory? Do the meetings start and end on time? Do participants consistently arrive on time? Value: Are meetings run out of “habit” versus value-added need? The best meetings must be value-added for both leaders and the team, so protocols for exchanging relevant information must be incorporated in each agenda; each meeting should include an educational component that is based on the organization’s current situation, and that educates both leaders (through feedback) and the team on issues that are pertinent to each. Measurement: Do you measure the effectiveness of each meeting? 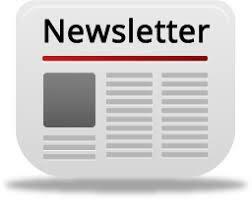 Are action items from one meeting a component of the next meeting’s agenda? If so, is there consistent follow-through in between meetings? Are team members held accountable? Does management hold themselves accountable? Continuous Improvement: How can you make your organization’s meetings better? How can you leverage the time spent in preparation and execution to enhance your competitive edge? Assessment: Team meetings are key opportunities to assess the team all at once, measure the group’s attitude and identify the best opportunities for leveraging their collective effort. Team building: We can’t build team spirit if we don’t regularly “assemble” the team. Team engagement, motivation and recognition: Many people will go the extra mile for the team; but we can’t leverage team motivation if we only interact with the people on an individual basis. Recognizing significant individual achievement in a public forum is a prudent component of motivation and management as well workforce engagement. Thought leadership: Driving a high-performance culture begins with helping people focus on the right things, and publicly identifying / reaffirming core activities and values. Education: As stated above, every meeting should have an educational component that is based on the status of your organization or project, and relevant issues of the day; and let’s not forget that “the wisdom is often in the room.” Sharing value-added information and best practices in a public forum not only provides highly-credible education, but also allows successful team members an opportunity to shine in front of their peers. As we all know, communication and project team meetings are key components to driving continuous improvement. In one of last year’s posts we focused on some of the most common challenges associated with running the best meetings, along with best practices for improving the effectiveness of those meetings. In that post we shared data that was, at the time, presented by the Wall Street Journal indicating that barely half of all meetings in the US were productive! Wondering how much this might be costing businesses around the nation? 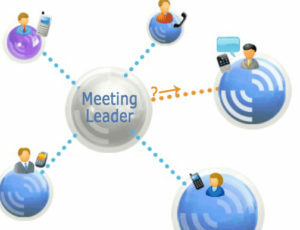 Well, according to effectivemeetings.com, approximately 11 million meetings occur in the U.S. every day, and most professionals attend a total of 61.8 meetings per month. Their research also indicates that over half of this meeting time is wasted, resulting in a loss (cost!) of approximately four work days per month. Possibly you have experience to share? One of the difficulties in trying to build and sustain a culture of ongoing improvement is the need to provide initial and refresher training for both senior leaders and associates. The Conway E-Learning Series is an ideal opportunity to improve every part of your business, whether you work in sales & marketing, administration, customer service, logistics, production or R & D.
It is a low cost and effective way for everyone to learn about and maintain top-of-mind awareness of Continuous Improvement concepts, and to consistently apply these concepts to their work. The story that changed the world…The Quality Secret is the true story of a Fortune 500 CEO who started a new way of thinking that caused a metamorphosis in the Western business world. It's the story of Bill Conway, and how his system The Right Way To Manage© has been used to transform organizations through the study, change, and improvement of work. It’s been said that when all you have is a hammer, everything looks like a nail. Such is not the challenge we face today! Over the past 50 years, a tremendous number of analysis and problem-solving tools have been developed and are available to deploy in the unending quest for better service to customers, producing greater value with less waste. In today’s world, the efficiency and efficacy of continuous improvement depends on selecting the best analysis and problem-solving tool at the right time. Perhaps the most important tools for success start in the scoping. Are You Working on the Right Things? Conway Management's Right Way To Manage© system helps answer numerous questions to help people in this critically-important area; we help them make better decisions about what to work on... and why. To move to a system of continuous improvement requires that organizations develop the right mindset and use the right language and tools every day, in all their activities. That is a major culture change for most organizations. But once people know what to work on, the question becomes which tools and methods will help you achieve your goals. With our vast experience in a variety of industries, cultures and countries, we work with you to identify those methods and teach you to build your skills so that you can apply those methods and tools to future problems and opportunities. We teach you work improvement. the word “engagement” more and more, and seeing troubling data indicating nearly 70% of the US workforce is disengaged, costing businesses billions! So it’s not surprising that a recent Price Waterhouse Coopers CEO opinion study found that customer engagement is the top priority for 90 percent of CEOs, and employee engagement 80 percent. The challenge for most organizations has been how to foster and profit from engagement, whether it be with customers, distribution partners, employees, vendors, or communities. Contact us to discuss how you might achieve your goals by strategically engaging people.